Water serves several major functions in your body, from providing the fluid for your blood, to cushioning your joints. If you don’t drink enough every day, you can feel fatigued. When you don't get enough water for a long time, dehydration can develop. This is a life-threatening condition. Drinking too much water can be problematic, however, if it leads to the need to urinate frequently. 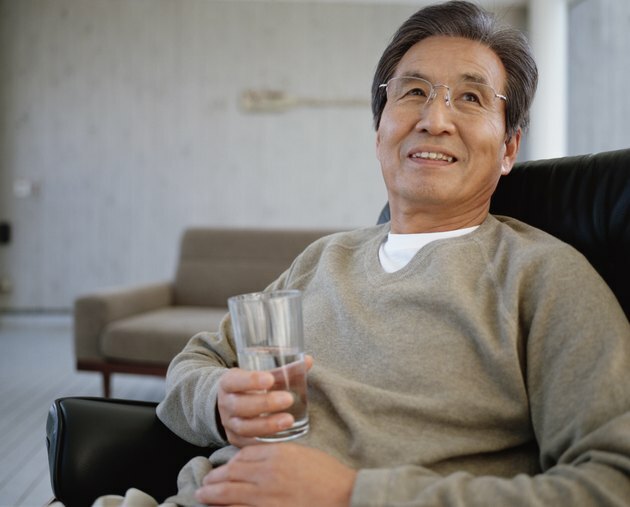 By achieving a balance between water intake and urination or recognizing the symptoms of an underlying urinary disorder, you can stay healthy. Daily water needs differ from person to person. If you're very active or live in a hot climate, for example, you will naturally need more water because you lose water via sweat. But there are some helpful rules of thumb. Many health-care practitioners recommend the replacement approach. This involves drinking an amount of water that's equal to your output. Most adults urinate about 6 cups of water per day and lose an additional 4 cups via breathing, sweating and bowel movements. When you subtract the amount of water you normally consume in food, it leaves you with around an 8-cup deficit; consuming 8 cups of fluid per day will normally fill your needs. Two indicators can help you determine if you are drinking enough water. The first is thirst. Thirst is actually a sign of dehydration, but if you find that you rarely feel thirsty, this can be a sign that you're drinking enough. A better sign the appearance of your urine, which should be a pale yellow to clear color. If your urine is dark yellow, you don't have enough fluids in your body to dilute your urine and need to increase your intake. The frequent urge to urinate can be uncomfortable and a symptom of an underlying medical condition. See your doctor if you're getting up frequently at night to urinate. Also see your doctor if you experience a sudden, compelling urge to urinate or feel discomfort when you need to urinate or you're urinating much more often than normal. Enlarged prostate gland, overactive bladder, incontinence and infection are among the possible causes. Your physician can evaluate you for these and other conditions and recommend treatment. You can drink too much water, a condition known as water intoxication. Elite athletes are at the highest risk for this complication. Your kidneys cannot process more than 3 to 4 cups of water an hour, according to "Scientific American" magazine. Because water intoxication can lead to death, it is important to be aware of the symptoms. In addition to frequent urination, symptoms can include nausea and confusion. Why Is Drinking Water Good for Me & How Soon Will I See a Difference?